Too often, it might appear as if Egypt’s dunes no longer deliver Giza-grade delights. While it would be extremely difficult to top the famous pyramids, incredible discoveries are still being made. New ruins reveal vast, rich tombs and even when the plague came to Thebes. Even modern places such as Cairo’s museum and slums deliver unexpected historic gems. Ancient Egypt experienced invasions from several overlords, and Napoleon Bonaparte eventually joined that club. In 1798, he sailed with an armada of over 100 warships and surprised the famous city of Alexandria in the early hours of the morning. Determined to rule the land of the pharaohs, he fought off the British successfully until the lure of power got the best of him. The English nabbed Egypt while Napoleon was attempting a coup in France. In 2014, Russian divers found traces of his army near Pharos Island, which is located near Alexandria. The island once held the highest building of the time—a lighthouse that reached 117 meters (384 ft) into the sky. While exploring the waters of Pharos Island, the team found 18th-century guns, pistols, and even cannons belonging to Bonaparte’s men. 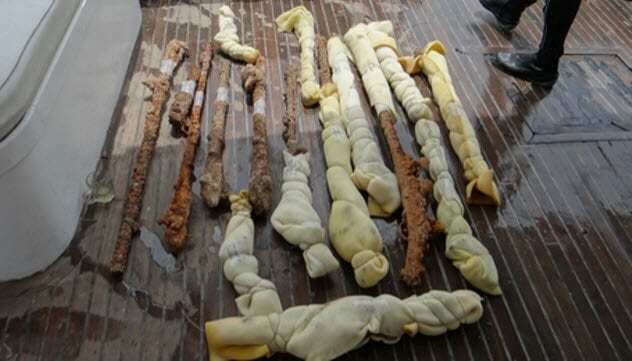 The cache is believed to have belonged to the crew aboard the French vessel Le Patriot, which lost in a skirmish with the British at the port of Alexandria. While Egypt is not the most surprising place to find a new pyramid, one pointy wonder appeared unexpectedly. The structure was no longer recognizable since all that remained were some of its lower ruins. 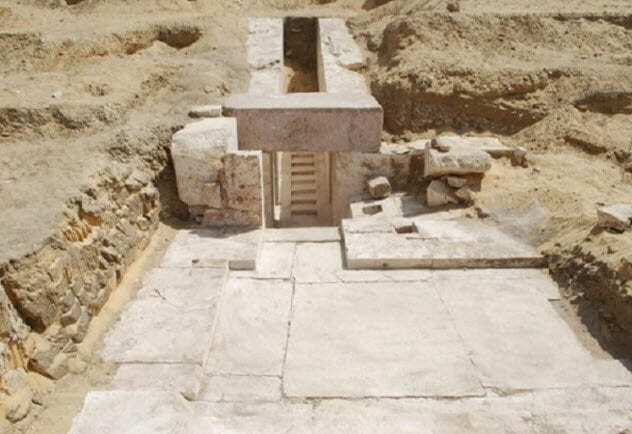 Located inside the Dahshur necropolis south of Cairo, the remains consisted of rooms, alabaster paving blocks, and a stone corridor. The building was misidentified as an early tomb building attempt. A reexamination in 2017 revealed the truth. It wasn’t merely an elaborate or experimental grave but a pyramid built around 3,700 years ago. The closest pyramid to this newcomer is the well-known Bent Pyramid. The latter was raised around 2600 BC on the orders of King Snefru. It’s unknown whose body was supposed to be interred within the newly discovered Dahshur pyramid. Its age places it in the 13th dynasty and was most likely meant to be the eternal resting place of a highly born individual. The necropolis that surrounds it was also constructed on the west bank of the Nile, an area reserved for the tombs of royalty. A magnificent moment came for Egyptian archaeologists when they unearthed another tomb on the Nile’s west bank. This one was also within the boundaries of a necropolis. The Dra Abu-el Naga site in Luxor yielded a wealth of artifacts as well as caskets. When the tomb was opened in 2017, it was discovered to belong to a nobleman who died 3,000 years ago. Named Userhat, he worked as a judge during his lifetime in the New Kingdom era (1500–1000 BC). The tomb complex consisted of an open courtyard connected to a pair of halls. In one, there were four coffins. When the researchers investigated the second hall, they found six more sarcophagi. Yet another room was uncovered, and inside was an army of over 1,000 small statues. The diminutive figurines represented the kings from several different dynasties, and more are expected to be found before excavations are completed. In the same room, there was also a wooden mask and the handle of a sarcophagus lid. A necropolis (burial ground) is common in Egypt. However, when a new one was located in 2016, it tweaked the area’s history and presented a mystery. Gebel el Silsila was thought to be a quarry camp. The shrine and 42 tombs show that it was a flourishing community with families, religion, and commerce. This led archaeologists to look for the ruins of homes, but there was no sign of them. There was the necropolis, quarry, statues, and stelae but no village or city. The tombs were discovered when archaeologists tried to reverse flood damage. They were aware of the rock-cut hollows but didn’t find out their exact nature until the Nile silt was being removed. The double-chambered shrine was the first to be found. Inside one room was a carved solar disc with wings, a powerful protection symbol. The tombs had been looted, and human bones were in disarray. The burial site appeared to have been for elites. The statues depicted important families from 1543–1189 BC. A scarab amulet displaying Pharaoh Thutmose III’s name also supports the notion that Silsila was far more important than just a quarry. 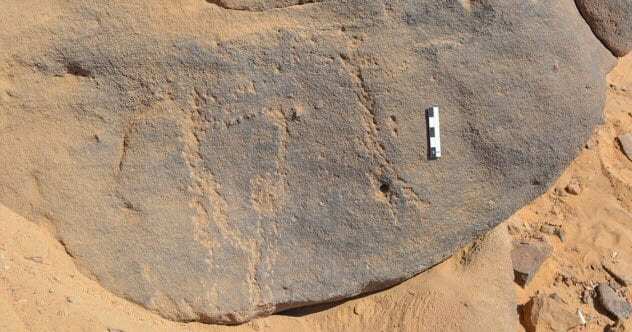 In 2015, this treasure received the honor of being named “one of the 10 most important archaeological discoveries in Egypt.” At first glance, the rock art appears dull and faded. But its worth flows from the fact that it predates the pharaohs. Almost nothing is known about the Neolithic Nile culture that later became the unique ancient Egyptian society. 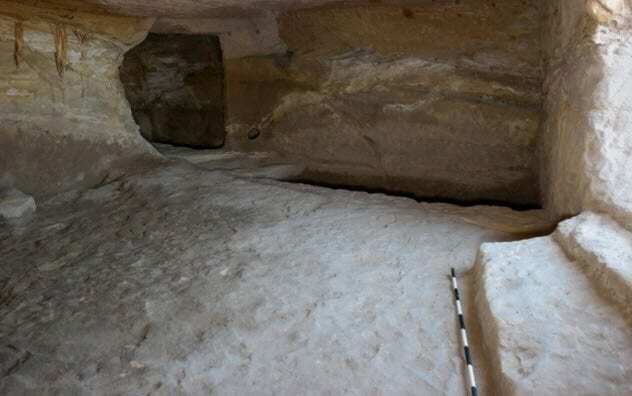 Egyptologists working at Qubbet el-Hawa, a necropolis near Aswan, found images dating to the fourth millennium BC. They survived the eons because they were carved and not painted. The style was interesting. Instead of lines, tiny dots formed the outlines of a dancer and an archer stalking an ostrich. They cannot be seen unless the dots are connected. The dancer, shown with arms raised in perhaps encouragement or a blessing for the hunt, wears what looks like a bird mask. This could be a much sought-after link between the two cultures. Several years ago, similar clay masks and paintings of female dancers with bird masks were found in Hierakonpolis. They also date to the fourth millennium BC. 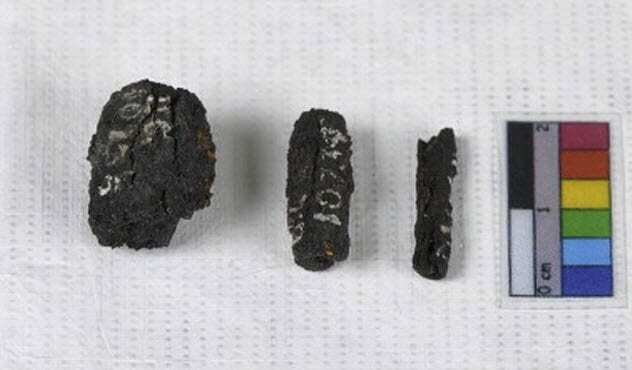 Nine metal beads from northern Egypt, the oldest iron artifacts in the world, are from space. 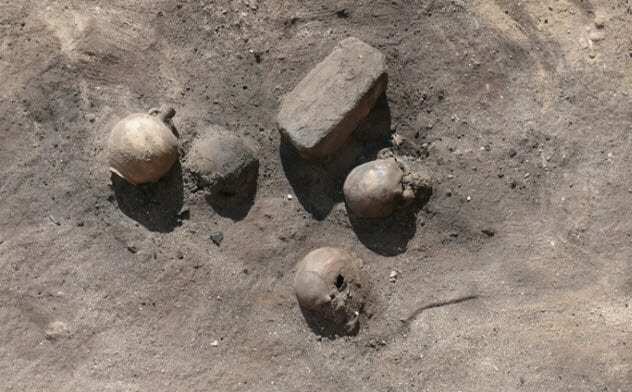 A burial ground in Gerzeh produced the tiny items from two different tombs. Grave goods helped to securely date the rare metal to 3200 BC. Made of meteorite iron, the beads were created by hammering the metal into thin sheets before rolling them into the final form. The tubelike jewelry was highly prized. Four were strung on a necklace with other valuable minerals such as gold, carnelian, agate, and lapis lazuli. Another three were found on the waist of the same corpse. The remaining two were at the hands of a person buried in another richly furnished grave. The cemetery was excavated in 1911 and contains the remains of predynastic people who died sometime during the fourth millennium BC. Although the brittle and rough meteoric iron was harder than copper (which was more commonly used at the time), this ancient community already possessed the smelting skills to finely hammer sheets as thin as 1 millimeter (0.04 in) and roll them without causing any fractures. Flinders Petrie uncovered a site in 1902. But for some reason, the world-famous Egyptologist decided not to waste his time on the modest tombs. Had he done so, Petrie would have added another sterling discovery to his career. In 2014, archaeologists took their spades, headed over to this area of Abydos, and found an unknown king. But this wasn’t just any old pharaoh. 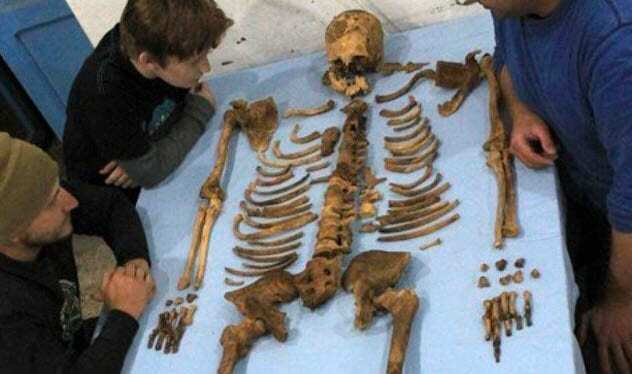 The looted body of King Senebkay dates back 3,600 years ago. The significance is that scholars theorized about a dynasty that existed during that era but had no physical proof for their theories until now. Even more remarkable, it rewrites the long-held belief that Egypt only had two kingdoms before its unification. In the central territory between the northern and southern kingdoms, another one existed and it was controlled by Senebkay’s dynasty around 1600 BC. What role this lost state played is unknown, but it will be interesting to find out with whom it was allied or whether it acted like a buffer between the other two. Archaeologists remain hopeful that the remaining tombs will turn up more royalty and missing history. A grisly find occurred during the 1997–2012 excavations of Luxor. A team working at the funerary complex of Harwa and Akhimenru, once used by the ancient people of Thebes, discovered a human disposal site. Three kilns at the complex produced massive amounts of lime, a disinfectant in olden times. There were bodies covered with lime and the remains of a bonfire with skeletons. The fire was fed the victims of a plague so horrific that the writer Saint Cyprian thought the end of the world was near. Pottery dates the complex to the third century AD when a plague swept through the Roman Empire and decimated populations everywhere, Egypt included. Cyprian was a bishop of Carthage and described the harrowing sickness that occurred between AD 250–271. Symptoms included persistent vomiting, diarrhea, weakness, mouth sores, and rotting extremities. A unique relic was forgotten for years in the storage section of the Egyptian museum in Cairo. The leather book’s modern origins are hazy. The French Institute for Oriental Archaeology purchased it after World War I. The seller was an antiquities dealer, but nobody knows who it was. Just before the start of World War II, the book was donated to the museum where it lay forgotten until 2015. When it was rediscovered, the roll of leather was in pieces. After careful reconstruction, it turned out to be a 4,000-year-old manuscript brimming with religious spells and color images of sacred and supernatural creatures. Writing and images adorn both sides of the 2.5-meter-long (8 ft) artifact, and it even predates the infamous Book of the Dead, which is also a collection of rituals. 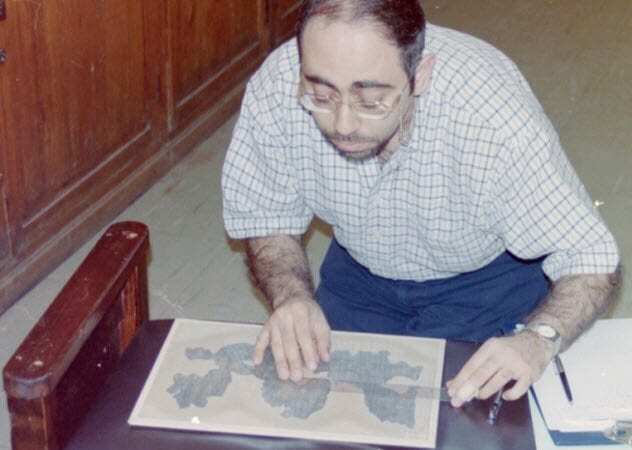 Created between 2300–2000 BC, the Cairo scroll is the oldest leather manuscript from ancient Egypt. Among the new religious texts, the reader is also taught the specifics of how to gain access to a restricted sacred site guarded by powerful magical beings. In 2017, two statues were found in a Cairo slum. One was the upper half of a life-size man, and the other was a breathtaking colossus measuring 8 meters (26 ft). Although the smaller man was identified as Pharaoh Seti II, the jury is still out on the identity of the giant. The yet-to-be-named royal was submerged in groundwater and was unfortunately not in one piece. 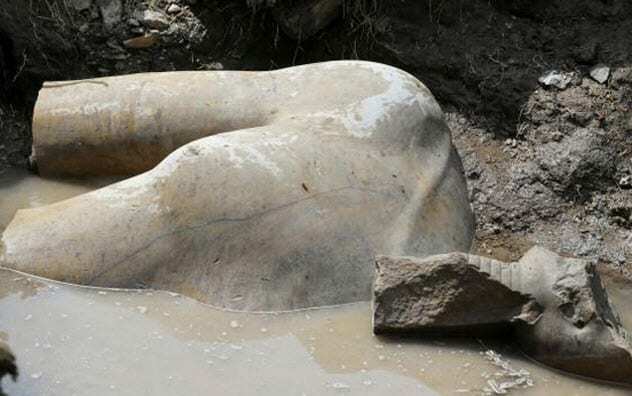 The head was lifted from the mud with a forklift but was incomplete as far as facial features went, obscuring any features that might have helped with a name. One candidate is Pharaoh Ramses II (r. 1279–1213 BC). The other limestone statue is the upper part of his grandson, and nearby ruins belonged to a temple built by Ramses II. As one of Egypt’s most revered leaders, one can imagine a massive statue being made in Ramses’s honor. Carved from quartzite, it was found in the slum of Matariya where roads are unpaved and buildings are incomplete. Ironically, this is where the ancient Egyptians believed that the Sun god created the Earth. The pair of statues requires renovations and further study, but they are already being praised as one of Egypt’s most important discoveries.